Social workers and trade unionists marched in Aotearoa New Zealand to highlight the growing impact of inequality, poverty, lack of decent housing, and health funding cuts. Organisers from the IFSW member the Aotearoa New Zealand Association of Social Workers said their action was inspired by the British Association of Social Workers march to ‘Bootout Austerity’ which followed the inspirational protests in Spain reacting to the cuts in health and social services. This link connects a facebook page with a 7-minute documentary that tells the story of the Aotearoa New Zealand hīkoi (march). IFSW Secretary-General Rory Truell said, ‘The action of taking these messages to the streets in Aotearoa New Zealand has dignified the profession. Social workers in countries where protest and marching is legal are fulfilling one of the profession’s core principles: Advocacy. 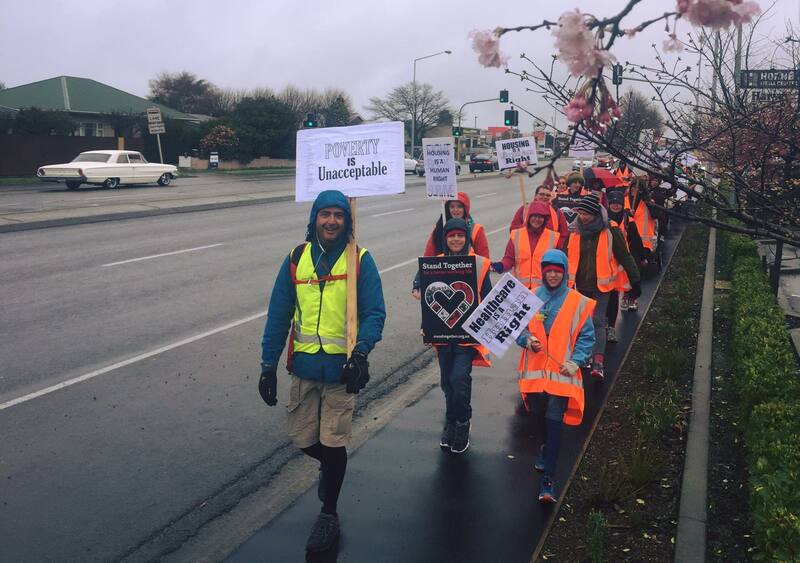 It is not easy to march for three days as they have in Aotearoa, or walk a hundred miles as they did in the UK, or make peaceful public protests with people that use services every Friday as has happened in Spain. These and many other examples from around the world make an enormous difference to public understanding, shaping policy agendas and they show people that social work cares. We applaud all the people who have taken part in these events’.